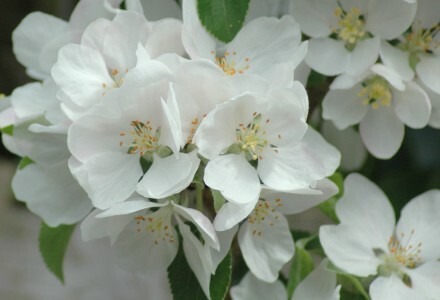 The apple blossom is out in full today on the Apple Discovery Espalier. It’s difficult to catch a good shot of the blossom between the cloud and showers today, however, I’m looking forward to seeing some swelling buds and hopefully this year I can get to the apples before the fox does. I would like to ask permission to use your photograph ‘Apple Blossom on Apple Discovery Espalier’ (2013) for a non-profit website. I have tenancy of one of 50 large orchard/allotment gardens in Stamford, Lincolnshire, which have been granted traditional orchard status by Natural England. The gardens are under potential threat (only potential at this stage) of being sold off for housing development and we are creating a website to try and raise awareness of our many heritage apple varieties. We would love to use your image to illustrate our page about Discovery.